Mica (40-60%) (and) CI 77499 (30-50%) (and) Triethoxycaprylylsilane (1-10%) (and) Lauroyl Lysine (1-5%). Colourmat® LL Black AS by The Innovation Company is a color composite based on muscovite mica and surface treatment. It is easy to formulate and does not need grinding. The platelet shape offers good skin adherence, long-lasting matte appearance and soft skin feel upon application. It shows good heat stability. 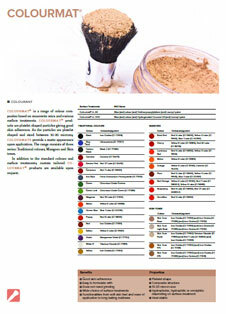 Colourmat® LL Black AS is suitable for all types of foundations and in powder applications, such as loose and pressed powders, blushers and eye shadows. It is listed with IECSC, TSCA, NZloC, TCSI, ENCS, KECI, PICCS, AICS and NDSL. The shelf life is 3 years.